The School of Social Work is offering its annual LSW/LCSW exam prep course. Illinois State University is one of the very few Central Illinois locations to offer such a comprehensive preparation course. Taught by ISU School of Social Work Professor and NASW president Professor Kathryn Conley Wehrmann, the licensing review course will take place from 8:15 p.m.-5:15 p.m. Friday, May 18, and from 8:45 a.m.-3:15 p.m. Saturday May 19. 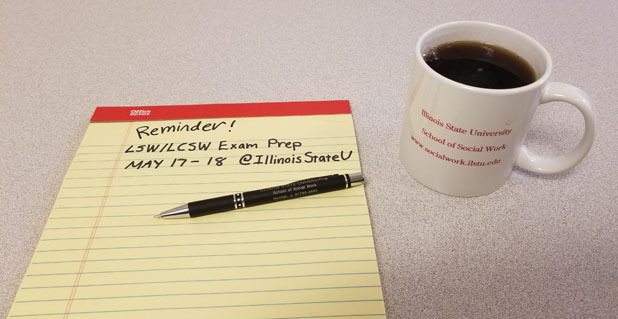 This is one of the few exam prep courses for LSW/LCSWs available in mid-Illinois.